Remove tough core from the cauliflower and break into 3-inch florets. 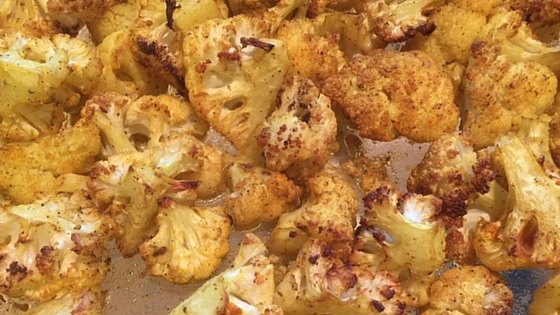 Mix the salt, pepper and turmeric in a small bowl; then evenly sprinkle over the cauliflower. Bake for 45 minutes or until cooked and browned. At 25 minutes in, toss the cauliflower, to again, distribute the herbs and make sure the browning happens evenly.